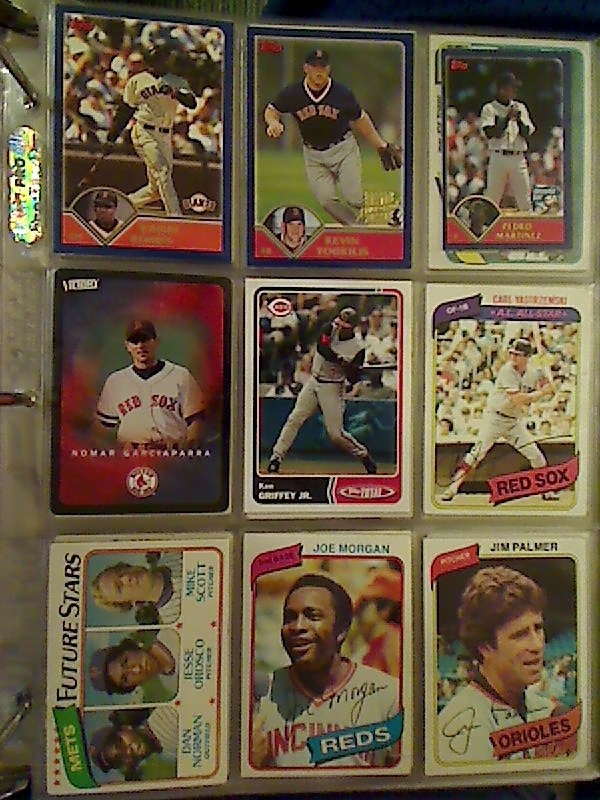 This entry was posted in Baseball Card Zen, Sports Cards and tagged 1980 topps, 2003 topps, Barry Bonds, cards with rounded corners, Carl Yastrzemski, flea market, flea market finds, Jesse Orosco, Jim Palmer, Joe Morgan, ken griffey jr, Kevin Youkilis, Nomah, Nomar Garciaparra, Pedro Martinez, topps Total, Upper Deck Victory, Yaz. Nice pickup! That Youkilis card is great. All yours if you want/need it. I’m going backwards on these things, but I’d like to run across a bunch of these pages at a flea market. Well, good luck. I hope you find some more stuff worth posting.